Go on a symbolic trip to the City of Lights when you visit the Paris Hotel and Casino in Las Vegas. The interior of the building is styled to transport you across the ocean to the wide boulevards and street cafés of the French capitol. Everything is a little more expensive in Las Vegas, but visiting the Eiffel Tower will only set you back $20. The Bellagio Conservatory and Botanical Garden in Las Vegas, Nevada is one of the most popular stops along the Las Vegas Strip. Before you head into the Gardens, make sure you make a pit stop out front to watch the free Bellagio fountain show. Once inside, your senses will be greeted by a fresh break from the other Las Vegas scenery. The Gardens contain hundreds of thousands of different types of plants, flowers, and seeds arranged into artistic formations, sculptures, and structures. The gardens feature rotating exhibits that celebrate holidays and different parts of the world. The best part of the Bellagio Gardens? You can spend as much time in them as you’d like, completely free of charge. The Hoover Dam, built from 1931 to 1936, is a don’t-miss historical attraction just a 40 minute drive from Las Vegas, Nevada. The Dam, which towers between steep mountain walls in the Black Canyon of the Colorado River, prevents floods, provides irrigation water, and serves a source of hydroelectric power. Its history is full of tragedy and triumph and will provide a unique experience and much-needed break from the lights and sounds of the Las Vegas Strip. Touring the Hoover Dam will cost you $15 per adult. Don’t forget to account for parking costs, at $10 per vehicle. If you’re a bicycle enthusiast, the Tahoe Pyramid Bikeway offers a unique way to see Nevada’s countryside and cityscapes between Lake Tahoe and Pyramid Lake. Along the 116 mile bike path, you’ll pass through several different types of ecosystems and climates, from forested lake areas to desert. The Tahoe Pyramid Bikeway passes straight through Reno, and offers the chance to take a ride or walk down the path without committing to the entire journey. It’s completely free to experience the Bikeway. After you’ve hit the Casino scene in Reno, Nevada, take a short walk south to the Reno Riverwalk and Arts District, which border the Truckee River. The Riverwalk is home to many popular restaurants and bars for any budget, as well as galleries, public art, swimming holes, amphitheaters, and Wingfield Park – a park on an island in the middle of the river. Spending time on the Riverwalk is a great way to enjoy your day without paying admission fees. In fact, all you’ll spend is the money you use on food and souvenirs. The Great Reno Balloon Race is the largest free hot air ballooning event in the world. If you’re visiting Reno, Nevada in early September, make sure you attend this monumental event, which features more than 100 hot air balloons glowing and rising into the sky over the desert landscape. At the event, you can watch the balloons at the night-time glow, see them take off en masse, or even go up for a tethered hot air balloon ride. There are plenty of activities to keep kids busy too. Washoe Lake State Park is situated on its namesake between Reno and Carson City, Nevada. From the park, you can take in views of the Sierra Nevada, Carson, and Virginia mountain ranges, as well as fish in the lake, hike the trials, and view a variety of different waterfowl native to the Western United States. It’s only $7 to enter Washoe Lake State Park and the park offers camping for those who want to make a trip out of it. If you’re seeking a vacation that’s fun for the whole family and easy on the budget, Washoe Lake State Park is a great option. The Kit Carson Trail, or Blue Line Trail, is a must-do while you’re in Carson City, Nevada. The trail is a walking path through Carson City’s historic district, and is marked by a blue line and copper medallions along the sidewalk. The walking tour winds its way through more than 60 1800s-era Victorian-style homes, museums, and churches that are interwoven with the history of Carson City and the Wild West. The Kit Carson Trail brings history alive and will leave you with unforgettable family memories. Plus, it’s free to walk and you can even download an app that’ll guide you along your way. Nevada truly has something for everyone, and its large variety of activities makes the state perfect for a budget vacation. 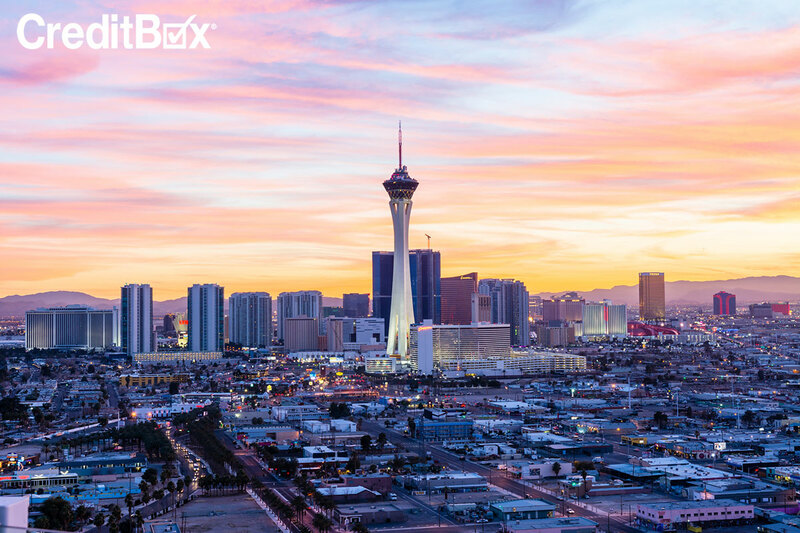 If you need a little extra funding for your Nevada trip, apply for a loan with CreditBox. We can get you the money you need, fast, to make your vacation the best yet.